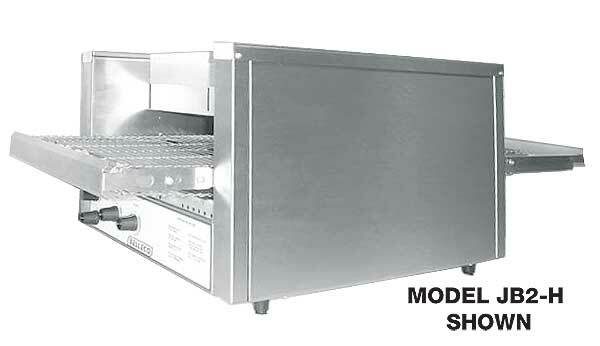 This oven is a great way to add pizza to your bar or convenience store. Add fresh toppings to your par baked crust, and you're in the pizza business. 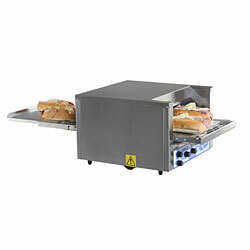 You can make 26 small 9 inch pizzas per hour on the 10-1/2 inch wide conveyor belt. 208V can make up to 31. You don't need a hood system in most areas. Just hook it up and you're ready to go. Made in America. NSF listed for commercial use. Perfect for a bar or convenience store if you want to add a small pizza to your menu without a big expense. Buy the par baked crust. Add the fresh toppings. You're in the pizza business. 18"W x 12-1/2"H x 40-3/4"D.